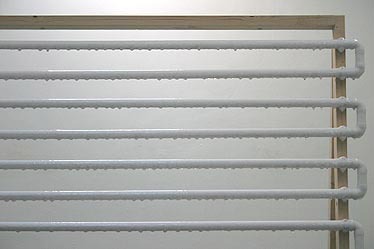 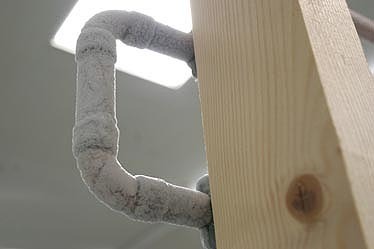 The installation is very sensitive to any changes in the microclimate of the gallery. 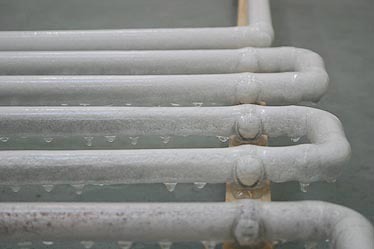 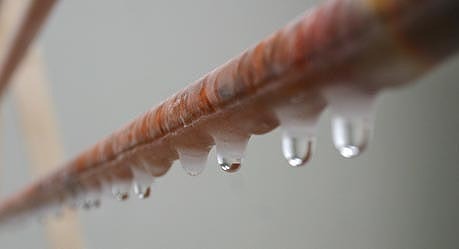 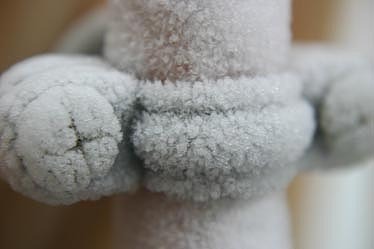 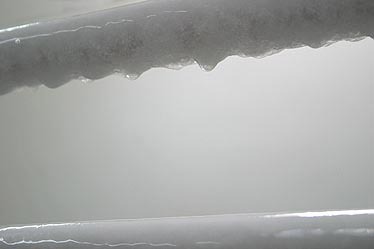 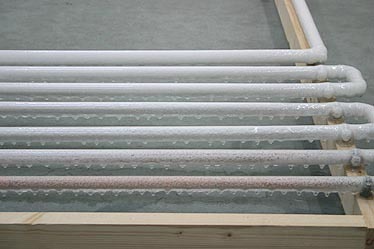 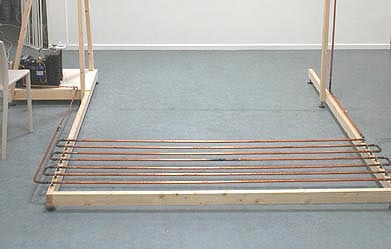 The copper tubes are filled with cooling liquid, causing the water vapor in the air to condensate and freeze at the tubes. 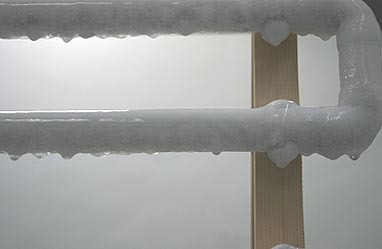 Even the smallest differences in the microclimate are immediately visible in the installation; the ice grows and melts with the climate changes, trying to find a balance.